New Year and Christmas holiday season was the best time to think about the past year and determine the goals and objectives for 2019. Leo and I, we are also adopting a “New Year’s resolution” and decided to commit to improving our health and skin. Many of us have different beauty resolutions: doing more sports, lose weight, eat right but also to find a balanced beauty routine. To help with Leo’s New Year’s promise, we refreshed his routine with procedures and products that act quickly and efficiently. Leo always considered skincare as something that only women do. In addition to the lack of knowledge about possible beauty benefits, plus overwhelming quantity of brands and products to choose from ended up in empty bathroom shelf for him. 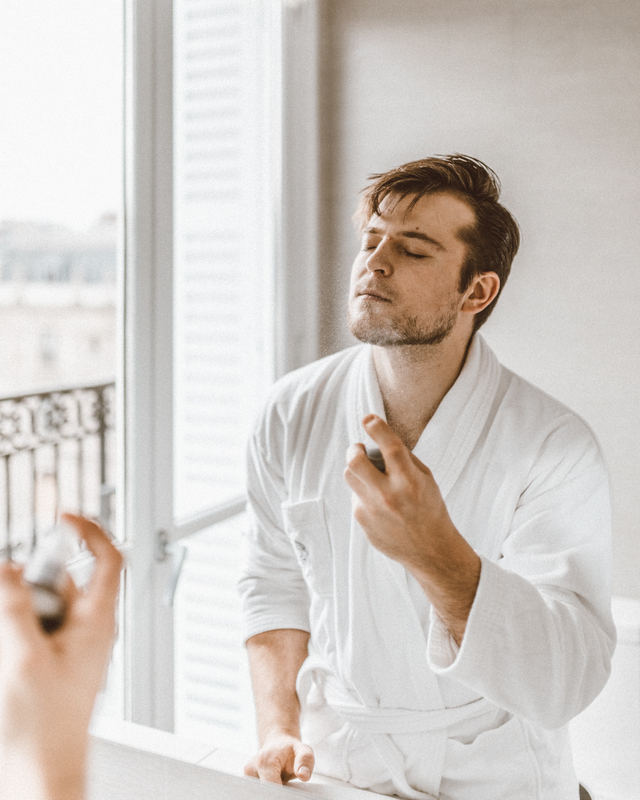 Of course, if you think about this topic clearly, there is nothing exclusively feminine about skincare and in some cultures men are even more concerned about beauty and health than women (especially in Asia and South Korea!). 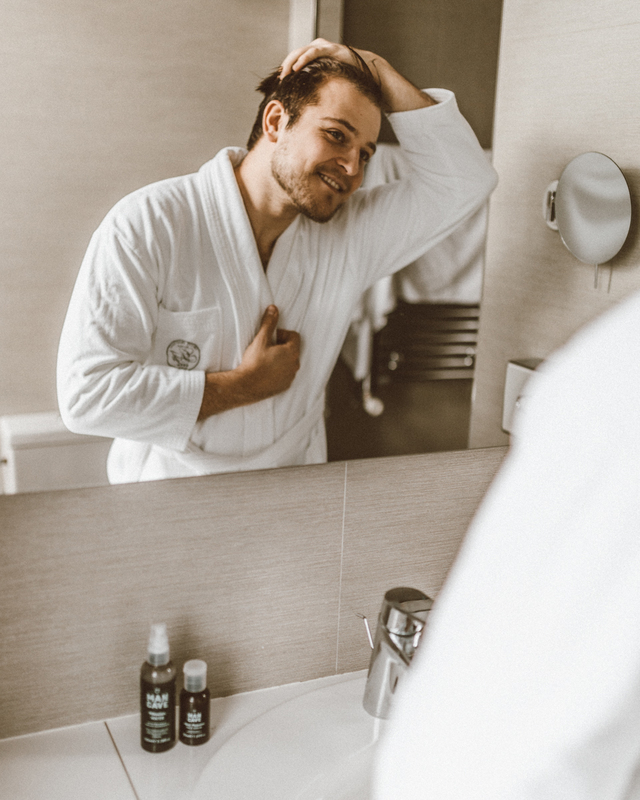 Men prefer easy routines that are straightforward and efficient by using high-quality, natural products. So, we decided to start simple with an easy two step routine: cleansing + protection. 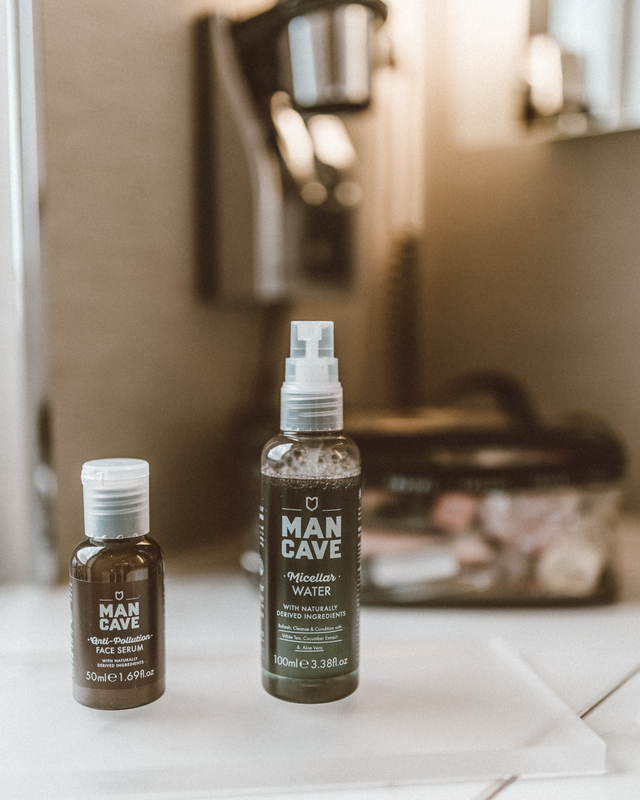 We were very happy to partner with ManCave Inc and discover the Micellar Cleansing Water with Anti-Pollution Face Serum. 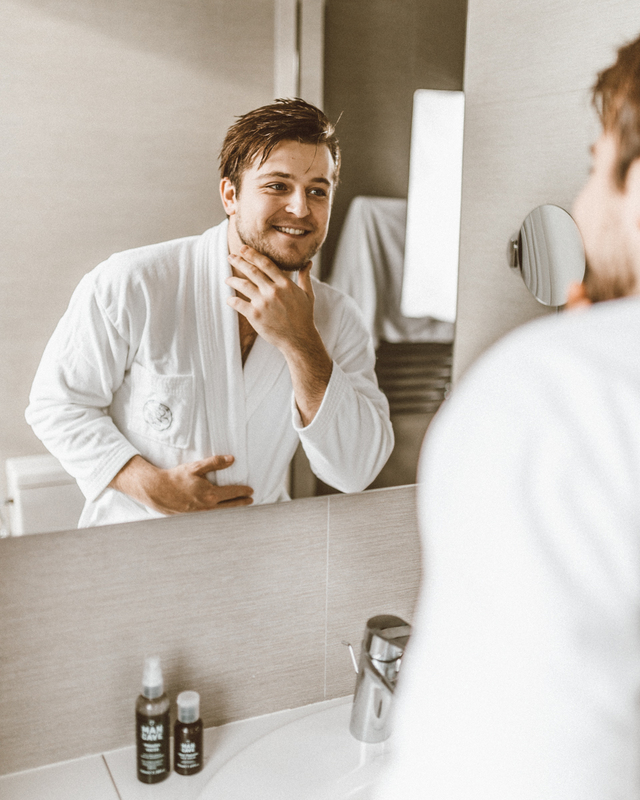 Micellar Cleansing Water only added a few minutes to his daily routine, but the time spent on it recompenses in a healthy, glowing skin that looks younger and cleaner. 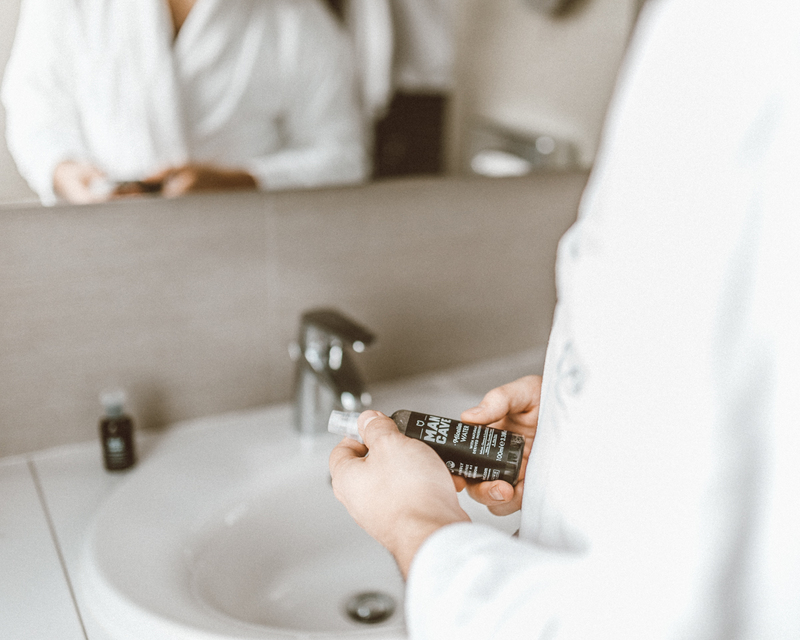 It gently cleanses the skin using Micellar Technology that is made up of micelles (tiny balls of cleansing oil molecules) suspended in soft water that act as a magnet to draw dirt from the skin. The usage is as easy as pie. He just mists the water on a cotton pad and wipes the dirt off his face. What Leo likes the most is that he doesn’t need to rinse off his face after using the Micellar Water ​because it absorbs into the skin and acts as a toner. The refreshing mist is infused with the smell of the woodsman scent which provides instant freshness with every pump. The last step of Leo’s routine is the application of Anti-Pollution Serum. 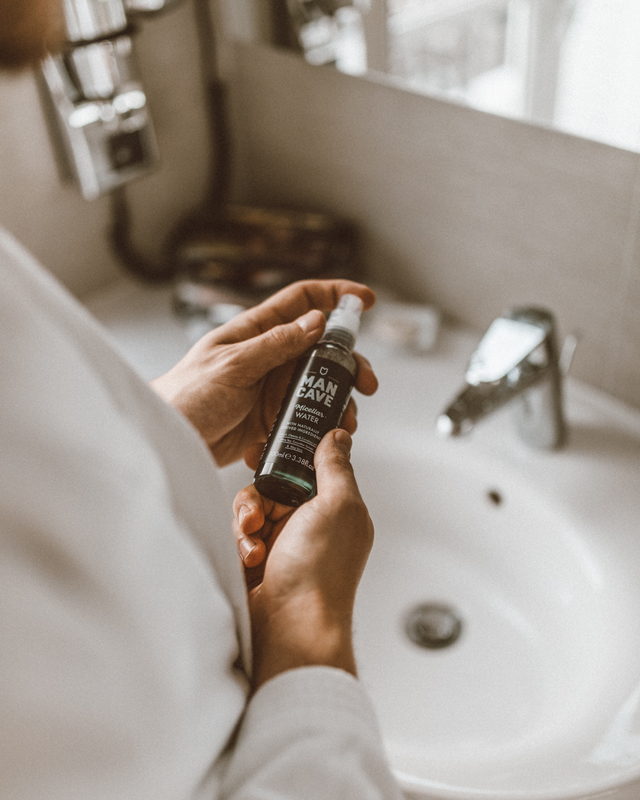 It strengthens the skin’s natural barriers to defend against daily environmental stressors and also protects the skin from irritation with anti-inflammatory caffeine which I personally love too and have in some of my favourite skin care products. 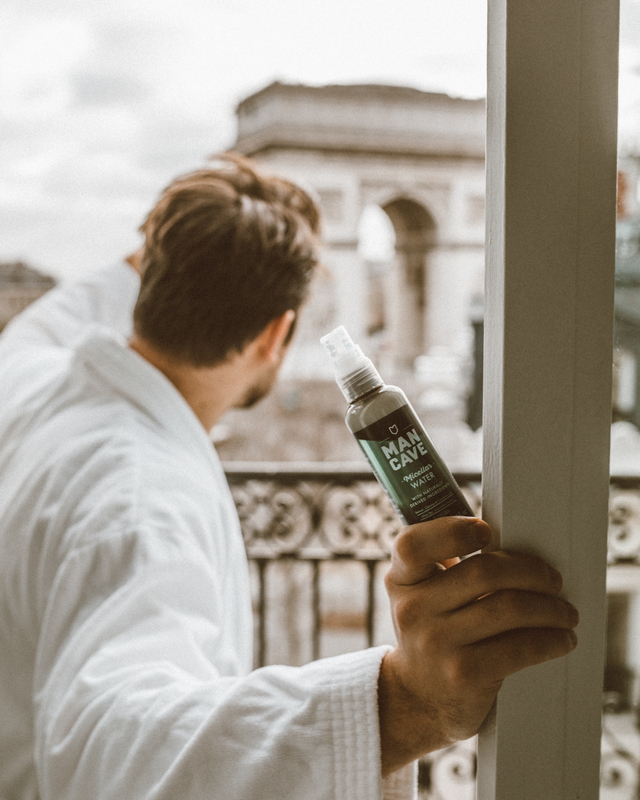 All ManCave Inc. go through an intensive two-year product development process to ensure the formulation and fragrance is perfected for its intended purpose. 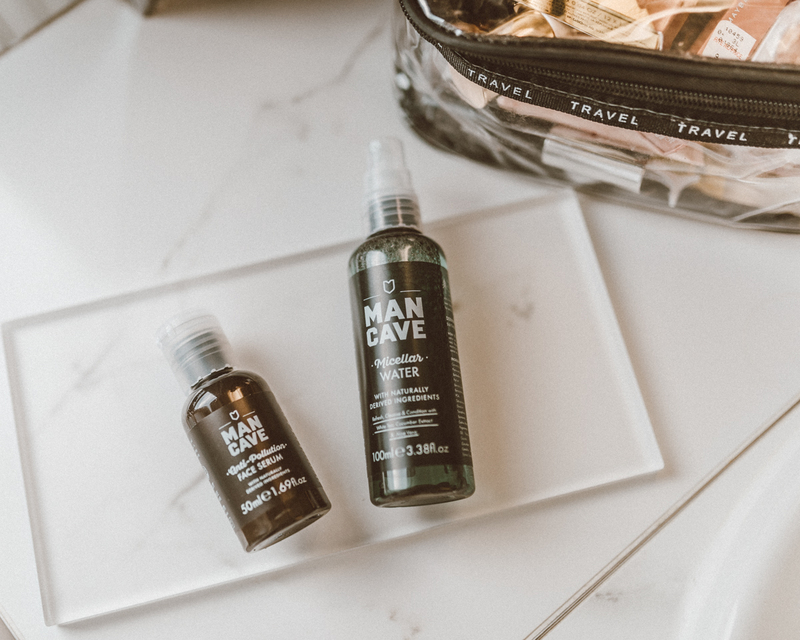 By omitting harmful ingredients, ManCave Inc. is a cruelty-free brand providing vegan-friendly lines with all products being free from parabens, sulphates and petrochemicals. But we aren’t at the best part yet! The products are very affordable and available on Amazon! For Blue Monday, both products are Amazon’s Deal of the Day! Miccelar Cleansing Water and Anti-Pollution Serum are 25% OFF! Don’t miss the deal on this link. 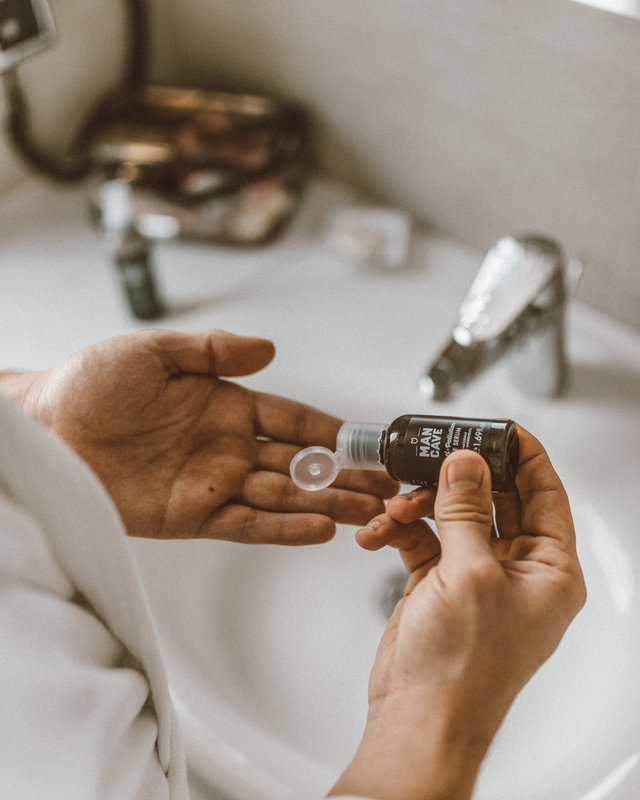 It’s time to do a gift for your skin as I am sure that ManCave Micellar Water can be your next go-to cleanser and it will make your New Year’s resolution about better skin to come true. This is a sponsored post with ManCave all opinions are my own. Sure! I hope he will like it!